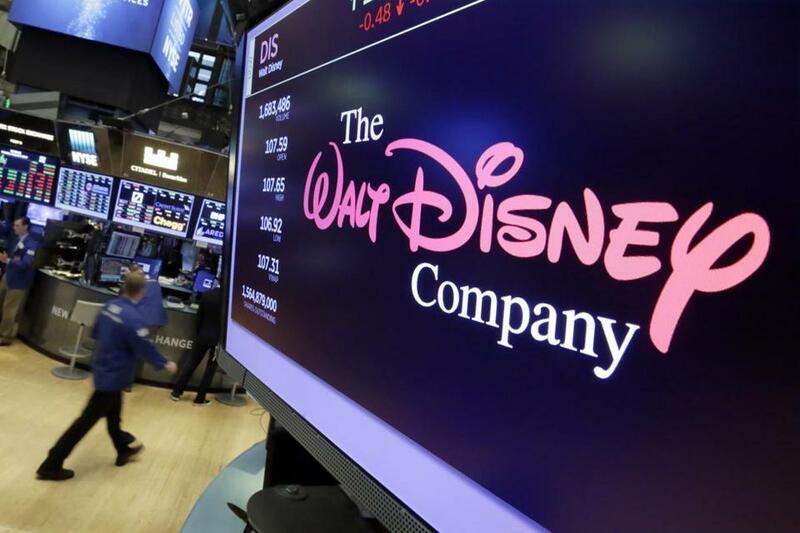 The Walt Disney Co. logo on a screen above the floor of the New York Stock Exchange. Disney has closed its $71 billion acquisition of Fox’s entertainment business, putting ‘‘Cinderella,’’ ‘’The Simpsons,’’ ‘’Star Wars’’ and ‘‘Dr. Strange’’ under one corporate roof. By buying the studios behind ‘‘The Simpsons’’ and X-Men, Disney aims to better compete with technology companies such as Amazon and Netflix for viewers’ attention - and dollars. Meanwhile, Fox Corp. — the parts of 21st Century Fox that are not part of the deal, including Fox News, Fox Sports and Fox Broadcasting — started trading on the Nasdaq under the ‘‘FOX’’ and ‘‘FOXA’’ tickers on Tuesday.